I seem to be on the mend now, feeling a bit better and able to add more to my routine. Boy did this cold bring me down! Still struggling with not quite wanting to do much more than lay around on the couch though. I find that if I am stuck home with the sick, rather than using it as an opportunity to knit the things currently on the needles, I am either too sick to knit, or want to knit something completely different. Since my knitting time is currently so precious and since I have two very specific projects I want to complete during Month O’Socks, I have refrained from casting on anything new. It did mean though that I have done a lot more reading than I have done knitting between naps. 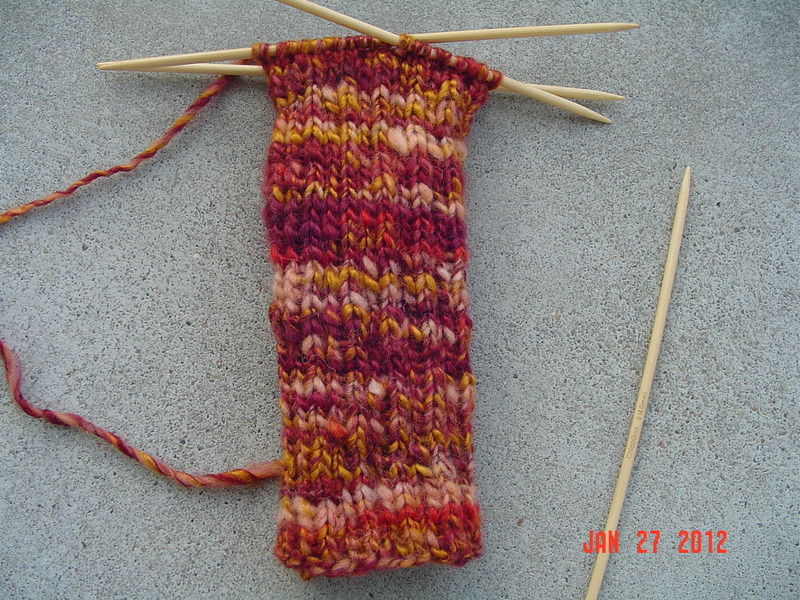 In any case, I’ve finished one tube for the crazy fronkenshteek socks, and have started the second. Maybe I can find time this weekend to manage to start the process of steeking and assembling these things! So, I’ve got two projects on the needles for Month O’Socks. 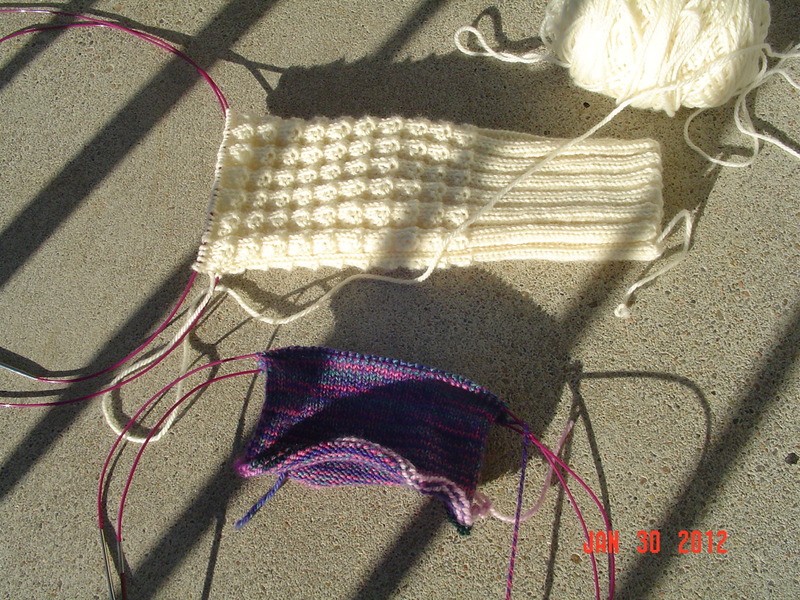 I’ve got the white socks for my mom, I am on the second sock and at the point where I need to start the heel. These are moving right along! And I have the fronkenshteeks which I haven’t bothered with in ages. I have two more tubes to create, then I begin the steeking. I am only about 2 inches into tube #1. It might be awhile! On Saturday I started to come down with a cold. Sunday was just about useless, this morning I couldn’t get off of the couch. However, after extra rest, some sleep, and very little else, I am feeling like the worst is over. (Or at least that is what I will keep telling myself). It is such a stunningly gorgeous day today, 63F, that I just wish I was on my bike or something! But, it has been a very long time since I’ve been good and sick, so I can’t complain too much. What a quick knit! I love these mitts so much because they are a two to three day project. 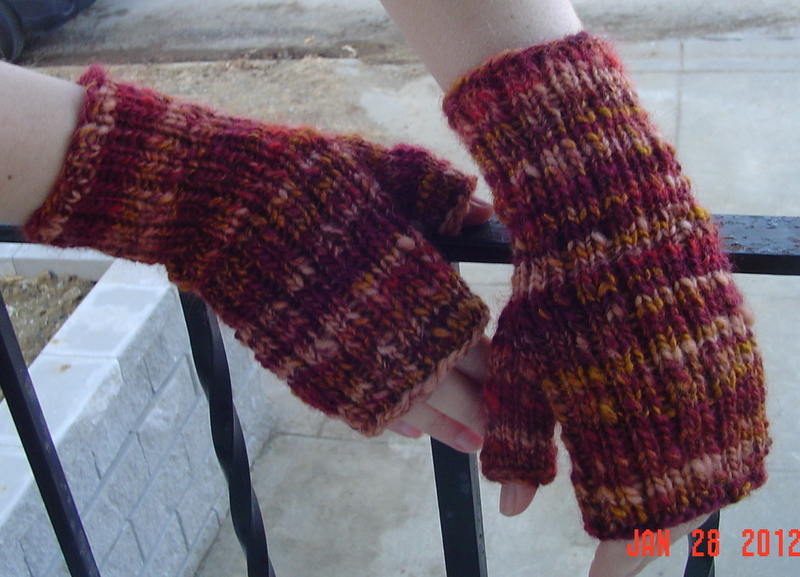 Since the yarn is my favorite spinning job ever, these mitts do not disappoint in showing off the beauty of that yarn. Now, back to socks! 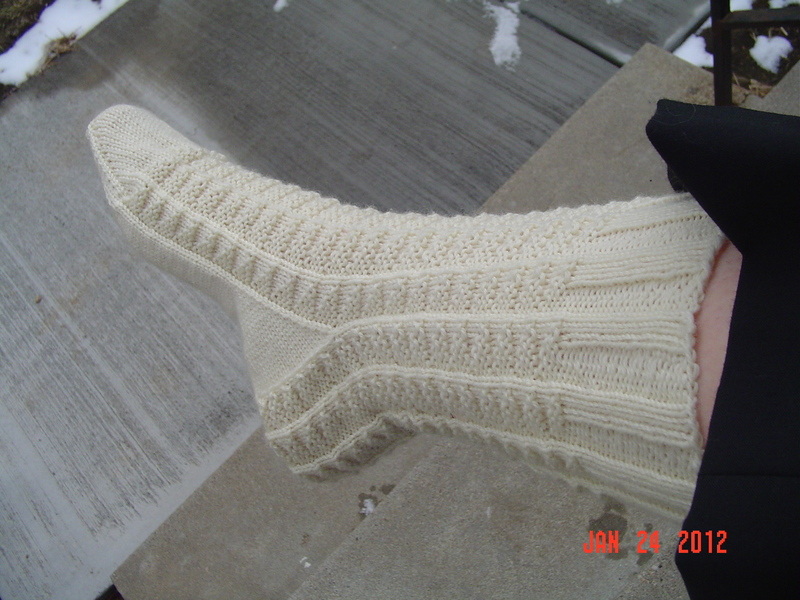 Once I finished up the last pair of socks, I just couldn’t keep going on the white socks. I needed a sock break, and I needed to scratch the itch I’d been feeling about this yarn for almost a year. The results exceed my expectations! I’ve been working on a pair of socks for my sister in law since November. Since I have been seriously uninspired about sock knitting, I used this month to complete these. 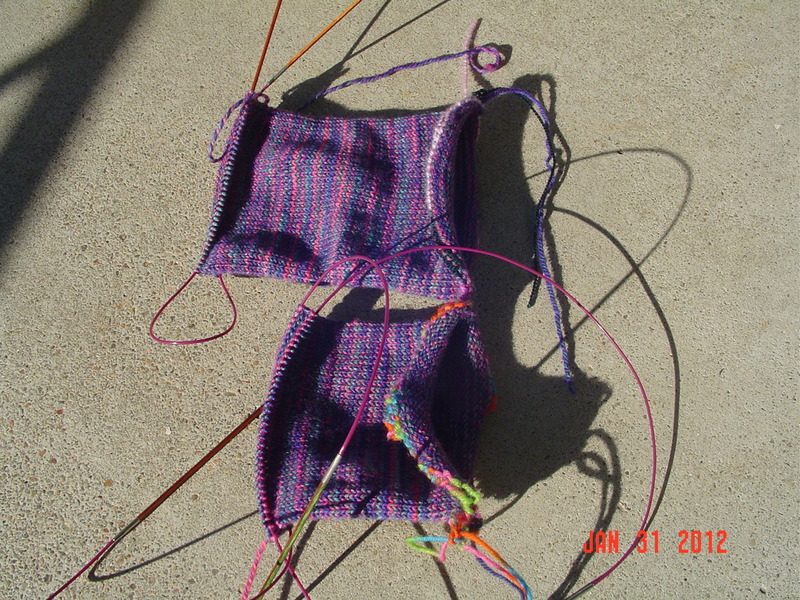 The yarn is Opal, and the pattern is plain with an afterthought heel. There really isn’t all that much more to say about them. Except that they are bright and wild and wonderful. But, unfortunately, not mine. 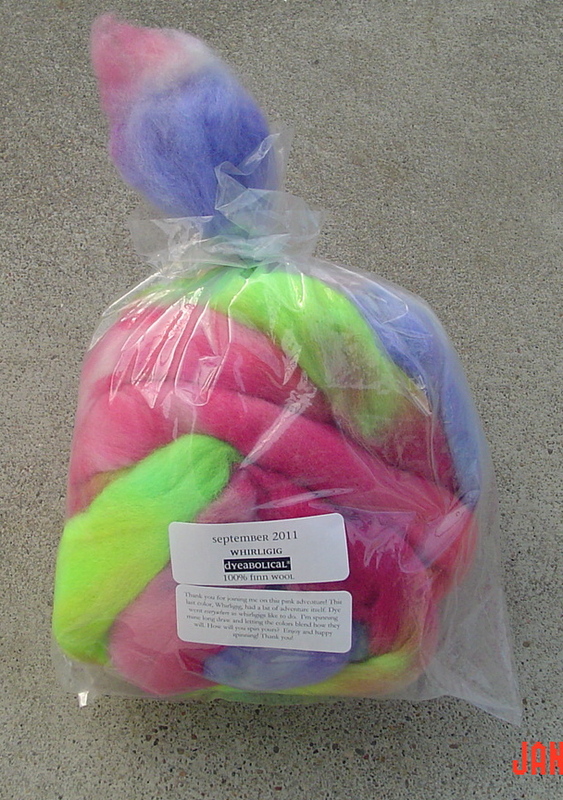 I am tired of talking about socks, let’s talk about the fiber club I was in way back in the summer. 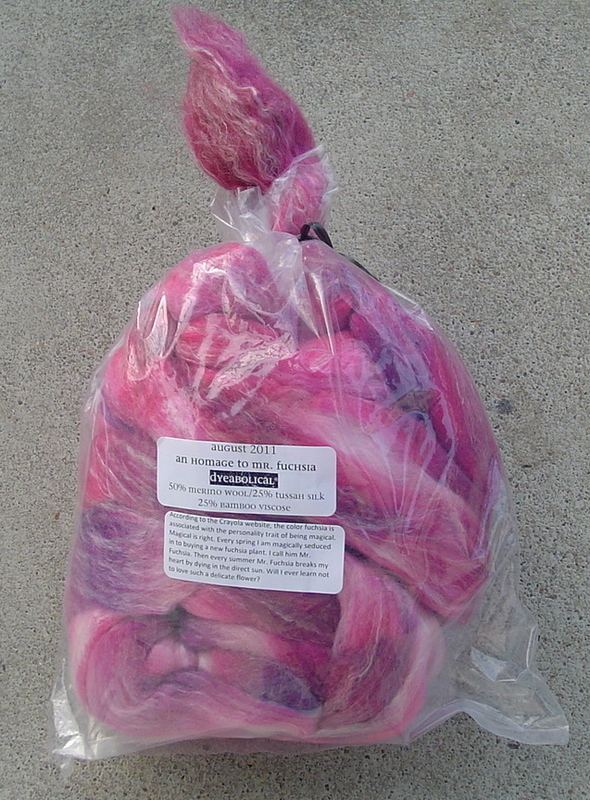 The theme was pinks and the fiber was from Dyeabolical. I believe I showed off the first month, but never photographed the second two. The one on the left is a merino/silk/bamboo blend, and the one on the right is finn wool. They are both beautiful, and the pinks are both so very different. I cannot believe I was so busy with my own fleece that I overlooked these! Aren’t they pretty? Aren’t you distracted by the fact that instead of knitting I went biking last night and have no interesting photos for you? So, I’ve got one sock of a pair done! They feel fantastic! I am hoping they will hold up well, the yarn is a bit thicker than I usually attempt to use, and my purl stitches are loose as usual. However, they are pretty!